They are men and women who have anchored deeply in their intent and have shown unwavering resolve in living out what they believe in, despite the many challenges and struggles. 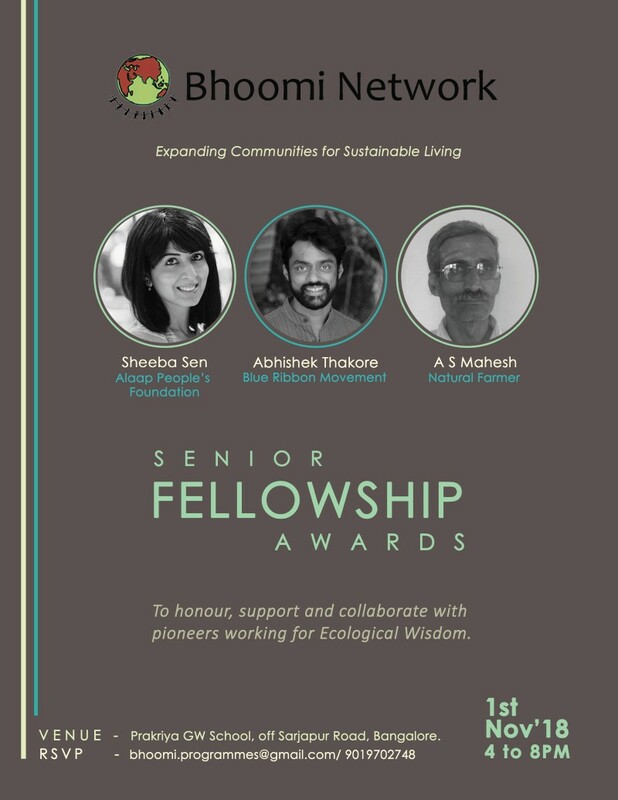 We at Bhoomi believe that this award is one of the ways of co-creating an expanding community of co-travellers. This year's award ceremony is scheduled to be held on the 1st of November 2018. Event details are given below. Do RSVP for us to make necessary food arrangements. Looking forward to your presence at the event.